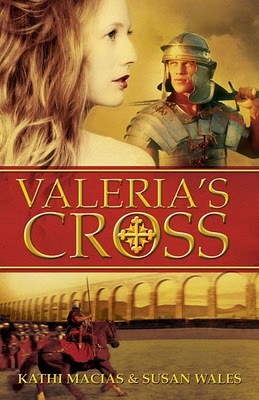 Valeria is the daughter of the Emperor Diocletian. When he sends her and her mother to Egypt, they learn of the Christian faith and convert. Valeria falls in love with a handsome warrior and the two hope to get married. Unfortunately, Rome is not interested in the Christian faith and Mauritius ends up dying a martyr's death. Grief stricken, Valeria is horrified to learn that her father has arranged for her to marry the man responsible for her true love's death. The premise of this story is pretty amazing. I really love learning about the different time periods in history and the religious tensions. I love the early church as well and boiling everything down to such a personal story seems like a great idea. And while this book is fine, I think perhaps the scope was too ambitious. I never really felt like I got inside the time period in a vibrant way which is so key to my enjoyment of historical fiction. There isn't a lot of detail and I often felt outside of the story. I had a hard time coming to a place where I really got Valeria and cared about what happened to her. One place where this would have really been key was her love with Mauritius. Unfortunately, they told each other they loved each other like the second time they met and I felt more like I was being told about their relationship than really feeling it or experiencing it. This lessened the eventual emotional impact of what happens. I probably sound really down on this book and I think the biggest problem was that I had high hopes for it based on the amazing premise. I suspect it will work just fine for most lovers of Christian historical fiction.